I have seen your China testimony a number of times and have wanted to go to China but am in the process of trying to raise enough funds to go. I'm a veteran living on Social Security here in Utah and so I'm having to be creative on how to come up with the cash to do this. My background is that I have/had an elevated PSA 3 years ago that has fluctuated from 7.2 to 11.2 back down to 7 and now it's back up to 10.2. The only healthcare provider that I have is the VA and their protocol has wanted me to do a biopsy from the first day that we did the PSA, but I used to be in the alternative healthcare field and resisted this invasive procedure. In the meantime, my DRE indicated that I had a couple of nodules that were pronounced, so 3 years ago I took my life savings of $3k and went to Phoenix and had a Naturopathic Doctor do a series of tests that would give me a better idea of what was happening without doing the biopsy. My PAP back then was 2.4, which is high but not critical. 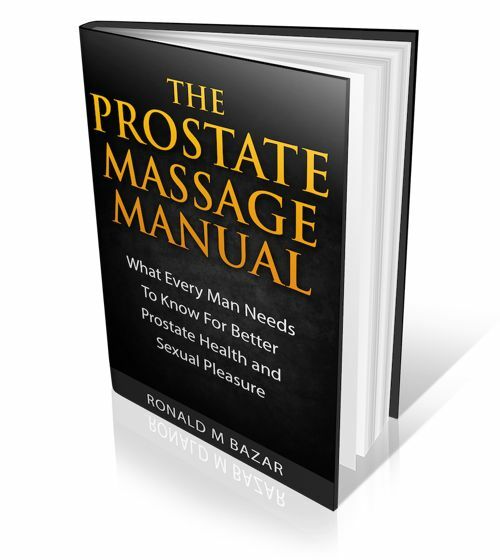 My prostate volume is 69, so if you take the PSA of 9.1 and divide it into the volume then times 100 and you get .13. This number is also at the upper end of allowable, .15 is the cutoff before there is immediate concern. My PSA Complex test was 5.1, which is a positive number. My PCA3 was 7, which was great. My T2 score was very high at 300. My 4K score showed that I had an 85% chance of living at least 10 more years. My %FreePSA was 17% which is pretty high. My C-reactive Protein was 1.0, which was excellent. I presently have multiple nocturnal visits, eat very clean and take almost every supplement known to man. I even tried Cannibas for a year without any success. I don't mean to bore you with my facts, but without doing a biopsy, do you think that I'm a good candidate for China? And what do you think that the cost might be? 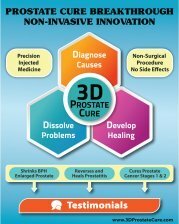 Has your cancer and BPH remained in a curative state since then? Are there any clinics in North America that could offer the same modality? Anything that you could help me with would be of great help. I am not familiar with some of the test results you shared, but yes you could well be a good candidate for the 3D Clinic. I would write them with the information you have shared and see what they say. The cost is about $2500-$3000 per week I believe and most people are there for weeks. Ask them this. I know of no place that does this other than the clinic, and anyone else would be suspect. If you can't afford that, then ask yourself what you would do if you did a biopsy and got a range of results. You know what your doctor would do under most scenarios. Then ask yourself would you do it? If not, then perhaps a biopsy is not for you. Please get my book on Cancer Diet. It will really help you. Pay attention to the section on Personal Testing as you just may find that most supplements and many foods will test negative for you. Get the Omega Pendulum. I swear by it. You can read more on my site under Personal Testing page.